A cesarean section, commonly referred to as a c-section, is the delivery of a newborn through a surgical incision in the woman’s abdomen and uterus as opposed to going through the birth canal, naturally. According to the CDC, the cesarean delivery rate in 2014 was 32.2% of all births. Over a million cesarean sections were performed and although the percentage growth has slowed down somewhat over the last few years, it's much higher than historical levels and it has CDC concerned. Some researchers even claim that half of the c-sections performed in the United States could have been safe vaginal deliveries. Percentage also varies greatly by hospitals, so it's good idea to do your research before deciding where to give birth, as the biggest risk factor of having a c-section might just be the hospital you pick. 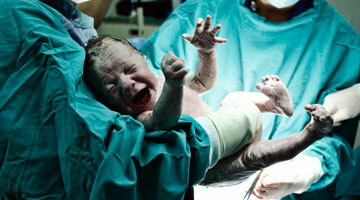 Labor dystocia, the obstruction of labor due to pelvic issues, is another reason that doctors will perform a c-section. Signs of labor arrest or abnormal fetal heart rates are other very common indications that a cesarean section is necessary to maintain the health of the mother and the baby. Other reasons for unplanned c-sections include: suspected fetal macrosomia (larger than average babies), excessive maternal weight gain, preeclampsia, twin gestation, and herpes simplex virus. Again, each circumstance can be different, so you should talk to your doctor and find out what is going to work best for you and your baby. Although c-sections might sound frightening, they can truly be life-saving for both mom and baby. 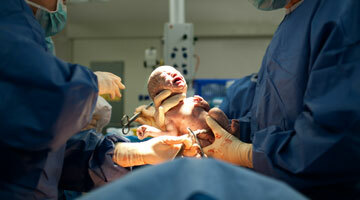 Electing to have a c-section can help women avoid later pelvic floor weakness or trauma. 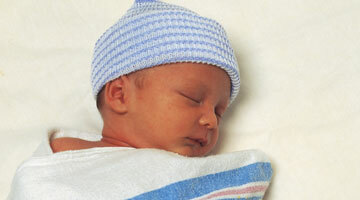 Yet, there are some risks to a c-section such as, infection, blood loss, blood clots, or injuries to other organs. Recovery and hospital stay times for mothers after a c-section can be long and painful. For women who have had multiple c-sections, there can be greater risk for later pregnancies or uterine rupture. There are also some positive attributes of having a vaginal birth. Immediate skin to skin contact for closer bonding and immediate ability to breastfeed are just some of the upsides to a non c-section birth. Also, delayed cord clamping can be beneficial for the baby by increasing levels of iron and minimizing risk of anemia or transfusions. However, American Congress of Obstetricians and Gynecologists published researcher estimating that there is no difference in the chance that urinary incontinence or postpartum depression will occur based on a vaginal delivery or c-section. Placental abnormalities can also be increased with prior c-section delivery versus vaginal delivery and risk can increase with each c-section after. As always, find an obstetrician that can help you along your journey and do what is best for you and your newborn. 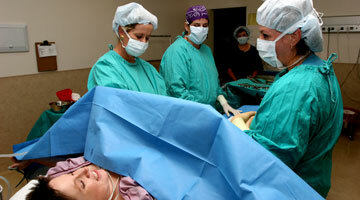 C-sections require a long recovery period due to the incision made in your abdomen. Normally, a horizontal cut is made near the bikini line. Another incision will be made through the uterine wall to reach the baby. Post surgery, doctors and nurses will monitor the incision and other vitals. Breastfeeding and slight activity is encouraged as soon as possible. 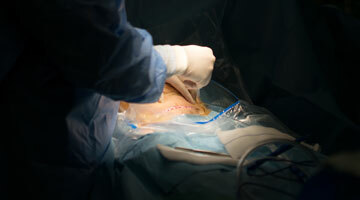 Scar treatments are available post-surgery. The general recovery time is about six weeks, although this depends on the circumstance. Mom Debi Cox explains why her natural VBAC was such a proud moment for her and what she did to make it easier and less stressful.